Would someone buy a failing business that was once profitable? If your business is failing and you’re thinking of selling up, it’s reassuring to know that a market exists for buying businesses with the potential to be turned around. It may seem counter-intuitive to buy a declining business, but if it was once profitable, it’s possible that a new owner could increase its value once again. Previously successful businesses present an opportunity for entrepreneurial purchasers with knowledge and understanding of business turnaround, to capitalise on a failing company’s growth potential. So who might be interested in such a proposition, and what can you expect if you find a prospective buyer for your failing company? Why purchase a distressed business? One reason why a purchaser may want to buy the shares of a business or competitor in financial decline, as opposed to buying only its assets, is the potential to set losses against future profits. Some investors specialise in business turnaround, have a successful track record of doing so, and actively seek businesses such as yours that have future growth potential, albeit are currently experiencing serious financial problems. What happens if you find an interested party? A prospective purchaser will carry out careful and comprehensive due diligence to understand why the business has failed. They’ll endeavour to cover all the issues that could have caused the company’s decline, and plan for future growth in the event that they go ahead with the deal. Cash flow will be a major concern for the new buyer. They’ll need to establish the company’s position with regard to its existing contracts, and whether there are any potentially deal-breaking contingent liabilities – pending claims against the company by employees or customers, for example. What are the advantages of buying a once-profitable company in decline? Historic sales, expenditure, and profitability figures allow buyers to judge their level of risk when purchasing. The popularity of products or services has already been market-tested, allowing the buyer to remove non-efficient products/services and streamline the business for maximum efficiency. Distressed businesses may present a desirable prospect for purchasers wishing to expand their business empire quickly. Less competition from other buyers may be an attractive factor for some investors. 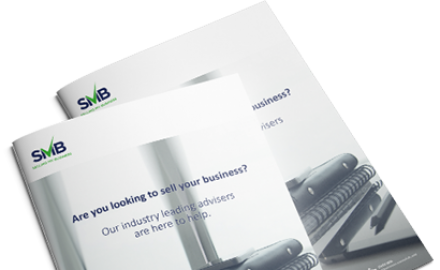 For more advice on selling a failing business, contact our professional team at Selling My Business. We offer a free initial consultation to establish your position and identify your best options.